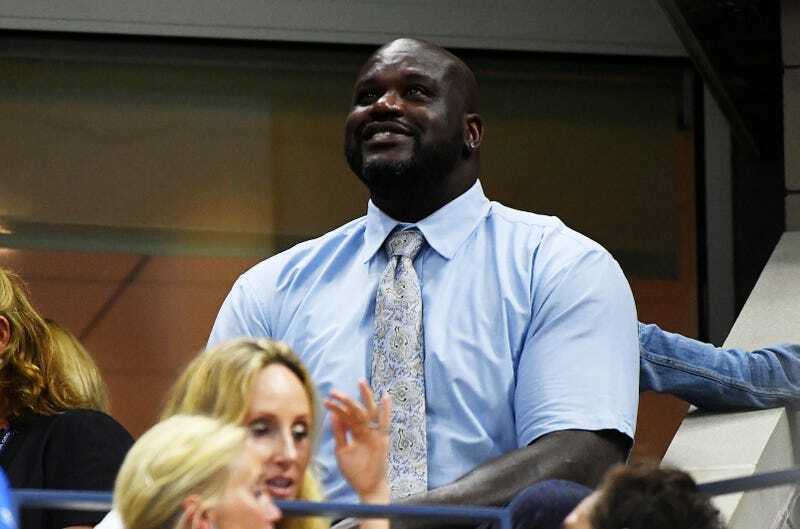 Shaquille O'Neal isn't exactly a fan of Colin Kaepernick's form of protesting by sitting out the national anthem. The former NBA player appeared on (of all places) Fox News to discuss. "I don't know Colin, but again, to each his own. I don't really have a say on it, but I would never do that. My father was a military man, and you know, he protected this country. Uncles are in law enforcement, you know; they go out and work hard every day," O'Neal said. O'Neal then went on to allege that Kaepernick had become an activist within the last few weeks. "My question is, 'How come you didn't do it last year?' Or, 'How come you didn't do it when you first entered the NFL?’” O'Neal asked. "Just, [there are] other ways to get your point across," he continued. Apparently O'Neal doesn't realize that Kaepernick's protest has nothing to do with, nor is a slight toward, those in the military, and that Kaepernick also has family who are in law enforcement. O'Neal is just another mumble-mouth athlete who went on a conservative news show to shuck and jive.